Sign Language Interpreter, Cris Eggers, opens up about the unique challenges she faces and revelations about the needs of the community that she serves. At the February 2013 NCTA General Meeting, Cris Eggers of Communique Sign Language Interpreting gave a fascinating presentation on sign language interpreting and Deaf culture. In order to share her insights with the broader NCTA community, we convinced Cris to give us an interview for Translorial. LW: In your presentation at the NCTA General Meeting, you touched on the differences between American Sign Language (ASL) and sign language developed in other linguistic environments. Do the various sign languages have a common base, or is each linguistically unique? CE: Well, my education is in sign language interpretation, not linguistics, and my masters program included only basic linguistics, so unfortunately I cannot give a definitive answer. However, I do think that American Sign Language (ASL) still has about 30% in common with one of its root languages, French Sign Language (LSF). What is common to all signed languages is that they are visual and gestural rather than audible and spoken. Also, the alphabets (used to denote proper names and technical terms) in LSF and ASL are the same. This alphabet differs from British Sign Language and Australian Sign Language (Auslan), which have a 2-handed alphabet in common. When I first met a Deaf person from England, I found it very challenging to communicate due to the vast linguistic differences between the alphabet and the vocabulary of the two languages. LW: As I understand it, there is no written form of sign language, such that a native signer would need to learn both sign language and a separate written language—in essence becoming bilingual. Can sign language be considered a “manual” translation of this written language? CE: Signed language cannot be a translation of a written language, word-for-word; American Sign Language has its own grammar and is not a representation of English. In the 1970s attempts were made by educators to force ASL into the grammatical constructs of English, even going so far as to invent signs for English words. They thought that if they could “represent English on the hands,” that Deaf students would learn English. The result is a generation of children lacking fluency in both ASL and English. Current research shows that once Deaf children have fluency in ASL, they can then generalize their understanding of language to more readily learn a second language, such as English. This is known in Deaf education as the “bi-lingual/bi-cultural” approach. LW: You also discussed the work of Lydia Callis, who translated New York Mayor Michael Bloomberg’s public service announcements into ASL during hurricane Sandy. In your presentation, you explained some of the non-manual signals used in ASL. This aspect of sign language is not widely understood outside the Deaf community. Can you tell us a little bit about how this type of body language works in ASL? CE: The non-manual markers (NMS) of ASL modify nouns and verbs and are often misunderstood as expressing emotion, as they are articulated on the face. For example, if a person signed “rain” with no NMS it would be devoid of critical information such as how intensely it rained or for how long. If a person signed “rain” with puffed cheeks and squinting eyes, it would indicate a torrent. Also the pace at which one produces the sign indicates duration. Signing “rain” slower with a slight circular motion denotes rain that continued for a good length of time. As with learning any other language, a student must immerse herself in the language and the culture to become proficient in ASL. For me and many other students, taking ASL classes in college just opens the door. One must walk through and get to know people in the Deaf community and converse about every topic under the sun, as well as learn culturally appropriate behaviors. Our most precious assets in the ASL interpreting community are professional interpreters who were raised by Deaf parents, known as “Codas” (Children of Deaf Adults). Assuming their parents were fluent in ASL, Codas learn ASL first, then English (or the language of their community) second, so they are truly bilingual, or even multi-lingual. But there are not enough Codas to satisfy the need for interpreters, so you get second language learners like me interpreting. LW: Written translation work is often done from a distance, translating files on a computer and communicating with clients via email. However, as you explained in your presentation, the majority of work in ASL is interpretation in person, in real time. Thus, the field of sign language interpretation is very interactive, and also quite physical. What kind of challenges does this present that may not be encountered in spoken language interpreting? CE: Most of my work is in-person interpreting for medical appointments, job interviews, business meetings, social service, trainings, and other community work. The challenges inherent in simultaneous ASL/English interpreting include cognitive overload leading to a higher error rate than translation, and managing turn-taking. Also, repetitive motion injuries, or RMI, are very common in our field. Currently there is very little “traditional” translation work in our field. Consumers need to be educated that a simultaneous translation from ASL into English recorded in real time may not be the version they want to post on their website, or publish. I have seen high-level PhD presentations given by Deaf academics captured on video and then posted on a university’s website with the live interpretation sound-track. Given the challenges of simultaneous interpreting, this may not be the best representation of the lecture. However, not all of our work is interpreting. We do some translation; for example, we may translate an ASL text on video into English or English written text into ASL. Our translation is added as either captions or a sound track in the case of the former and as a video in the latter. I leave the English to ASL translations to the Certified Deaf Interpreters (CDIs), people who are Deaf, first language ASL, with training and certified to interpret. They have a much better sense of the language (ASL). I could not do my work without CDIs; I often work with them when I encounter Deaf people who were born outside the U.S. for whom ASL is a second language, children, people with mental illness, senior citizens, and other vulnerable populations. 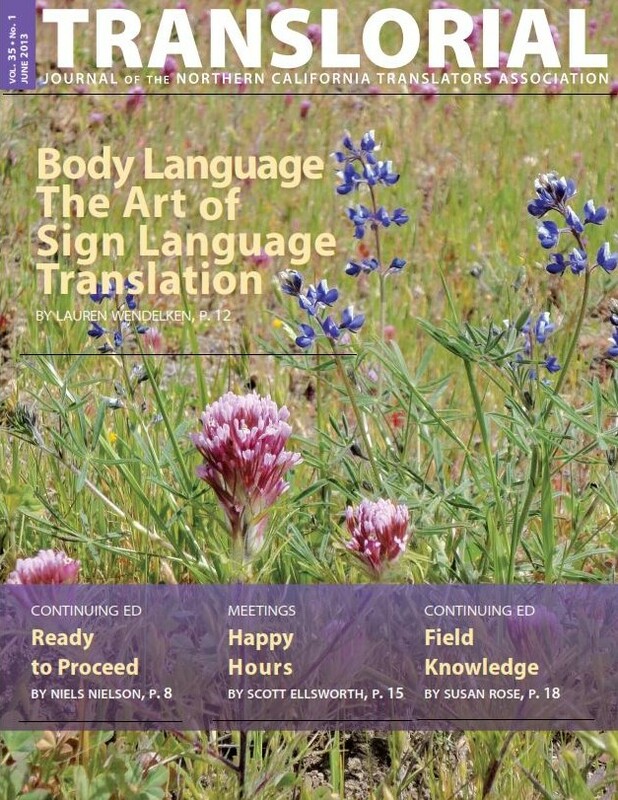 LW: In your experience, what does it take to work as a sign language translator or interpreter? CE: An interpreter must have language proficiency in ASL and English (a 3-5 year process if you are not a native speaker), then at least 2 years of general interpreting studies, and additional years studying in medical or legal settings in order to specialize. Also essential are cultural literacy in the communities you work with, tact, ability to recognize and correct errors (internal feedback loop), and a working knowledge of our Code of Professional Conduct. Besides these skills, sign language interpreters need to be flexible, assertive, intelligent, curious, empathetic, and caring. Interpreting and translating do require different skills. A translator from ASL to English must have excellent writing skills, and a translator from English to ASL must have excellent ASL skills. LW: Humor is one of the great challenges in translation work. Does this challenge extend to translating into or from ASL? Is there an aspect to ASL humor that just doesn’t translate? CE: Translating auditory puns into ASL generally does not work. Since the joke relies on how a word or phrase sounds, the point gets lost. Many ASL jokes incorporate cultural information and make fun of the oppressor—ignorant “hearing” people (including interpreters) who have not always conducted themselves as allies. Also, ASL is absolutely full of delicious visual detail, and the value put on the mastery of incorporating those details into a joke or a story is completely lost on those not fluent in ASL. LW: Translators often encounter challenges in technical translation, for instance in the medical, engineering, or financial industries. How are these challenges handled in ASL? How are industry-specific terms vetted and adopted? CE: Technical jargon in ASL gets developed within the community of Deaf people working in specific disciplines. Often technical jargon is site-specific, for example a computer software company with many Deaf employees may use their own variety of invented signs not understood outside that venue. So when Deaf software developers from different organizations dialog, they may use the sign language alphabet to “fingerspell” the English technical terms, using English as the common ground. However, I have worked at sites, for example manufacturing sites, where a Deaf worker is from another country and does not use the ASL alphabet. In that case I take a tour of the site and learn the function of the different machinery, ask for any signs they may use, and we collaborate to come up with a linguistically appropriate way to refer to the machines that may not yet have a designated sign. LW: You are a hearing individual, and did not grow up with ASL. Are there many people working in sign language translating/interpreting with your background, or are the majority of people deaf or children of deaf parents? CE: This is a painful subject in our profession. In the past many interpreters were “Codas” (a Child of Deaf Adults) raised within the arms of the Deaf community and nurtured on its norms and values. Beginning in the 1970s with the passage of several laws that mandated interpreting for Deaf people, the demand for sign language interpreters grew exponentially. To keep up with this demand, the federal government and states funded interpreter education at colleges and universities, and people completely outside the Deaf community became interested in sign language interpreting as a profession. They did not necessarily bring with them sensitivity to Deaf culture or proficiency in ASL. Some of these non-Deaf interpreters dedicated themselves to learning about the language and culture of Deaf people and became true allies. Other sign language interpreting students did not have either the propensity for language or the inclination to invest the time necessary to become truly bi-lingual/bi-cultural. But the need for interpreters allowed them to enter the field regardless. Despite requests by Coda members of our professional organization, Registry of Interpreters for the Deaf (RID), statistics are not kept on how many Codas and native signers are members. Without statistics to back me up, anecdotally speaking, more than 50% and possibly as many as 80% or more of sign language interpreters are not native to the Deaf community. LW: What do you feel has been the greatest benefit to you, personally, from learning ASL as a second language? What advice would you give to anyone considering working in sign language translating/interpreting? Cris Eggers graduated from Gallaudet University with an MA in Interpretation, and was certified by the Registry of Interpreters for the Deaf (CI & C T ) in 1996. She is the founder and CEO of Communique Interpreting, located in Northern California, which provides certified and insured sign language interpreters—in-person and remotely via video for medical and educational institutions, and private and public agencies. She has been an instructor since 1999 and teaches a variety of classes in both college and professional settings, including Interpreting in Medical Settings, and How to Effectively Use Interpreting. 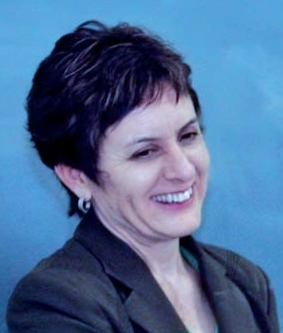 She teaches the California Healthcare Interpreter Association (CHIA) standards to interpreters and administrators. She served as co-vice chair of CHIA in Northern California and also as the Vice President of the Northern California Registry of Interpreters for the Deaf from 2007-2009.
kim posted this article under NCTA Events, NCTA Meetings, Sign language	on Saturday, June 1st, 2013 at 12:09 pm	You can follow any responses to this entry through the RSS 2.0 feed. Both comments and pings are currently closed.